As featured live on stage during the Steve Jobs Keynote Speech at the Apple WWDC 2008, and listed in the iTunes ‘Top 10 Music Applications’ for 2008. MooCowMusic:Band is a collection of virtual instruments that lets you go beyond just listening to other people’s music on your iPhone or iPod Touch, to creating music yourself from scratch. Each instrument has been designed to take advantage of the unique touchscreen of the Phone, with complex chords of up to five notes playable in real-time. The instruments provide visual feedback, so that piano keys and bass guitar strings animate when pressed. All the instruments can be recorded, overdubbed multiple times, and mixed together into a final track, which can be saved for later playback. 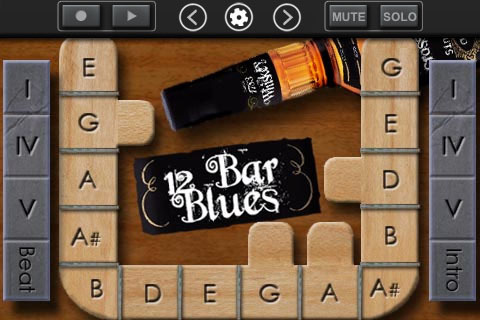 Band also features the innovative “Twelve Bar Blues” instrument, that enables anyone to play amazing blues backing and guitar solos. From the company that brought you the critically acclaimed Top 10 iPhone applications: Pianist, Guitarist, Bassist and Organist.